The Palestinian Arabs’ anti-Zionist demonstrations (see also yesterday’s posting) were not a one-time occurrence in 1920. 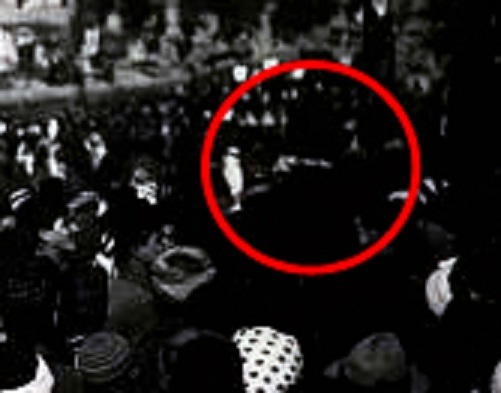 There were several such demonstrations in February, March and April 1920. The latter, held during the week-long Nebi Musa festival, turned into an anti-Jewish pogrom. 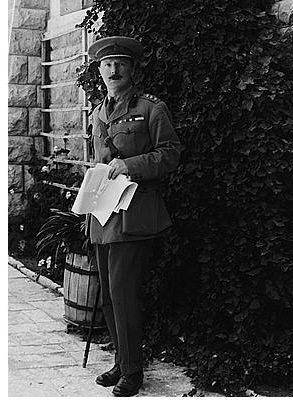 Several senior officials of the British Mandate were strongly opposed to the Balfour Declaration, with one, Col. Ronald Storrs, the military governor of Jerusalem and Judea, actually being accused by one of his colleagues of coaching Haj Amin el-Husseini on inciting the mobs. The British anti-Zionists found a sympathetic ally in the U.S. Consul General to Jerusalem, Dr. Otis Glazebrook, a former missionary who was a personal friend of President Woodrow Wilson. During World War I and prior to the United States entering the war, Glazebrook used his position in Jerusalem to protect Jews from local Turkish tyrants and to relay money from the American Jewish community to Jewish indigents. In a 1931 obituary for the diplomat, the JTA reported, "Dr. Glazebrook distributed Jewish relief funds in Jerusalem during the war, for which he received high praise from Jewish leaders in the United States." Perhaps it should not be a surprise, therefore, that the Arab demonstrators against Zionism hoisted Glazebrook on their shoulders as a hero.